If you or someone you know has suffered a personal injury or was killed as a result of the negligence of another person or company, look no further than attorney Todd E. Tkach for your legal needs. After suffering a personal injury or the death of a family member, selecting a personal injury attorney can be a difficult decision. We would like the opportunity to demonstrate to you our commitment of dedication, trust, tenacity, integrity and ability. Once Todd E. Tkach becomes your attorney, we take care of everything so that you can concentrate on your recovery. Let us deal with the aggressive insurance companies, opposing attorneys, doctors, and clinics. We will work closely with your treating doctor to help insure that you are getting the treatment you need. The attorneys and staff of Todd E. Tkach, P.C. have extensive experience in handling, negotiating, and trying personal injury cases. Mouseover the playing video and the video toolbar will be accessible. 1080p video and full-screen mode are available. Click start button above to play video. The player toolbar will appear whenever you mouseover playing video. Full-screen option available. 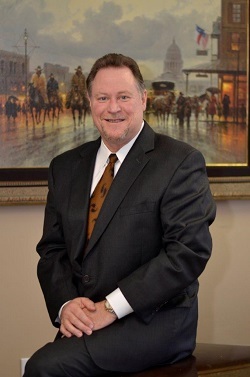 Todd E. Tkach has been practicing law in Texas for over 23 years. The foundation of The Law Firm of Todd E. Tkach, P.C. has always been personal injury, including automobile and truck accidents. Todd E Tkach continues to aggressively and successfully represent victims of auto accidents, and their families, for their injuries and damages, as a result of the negligence of others. Victims of personal injuries, and their families, frequently suffer devastating impacts on their lives, including debilitating injuries, medical bills, pain and suffering, mental anguish, lost wages, loss of family time and affection, property damage, and sometimes death. The attorneys and staff of Todd E. Tkach, P.C. can help you and your family recover from the costly and traumatic experience of serious personal injuries by maximizing the monetary compensation you deserve. 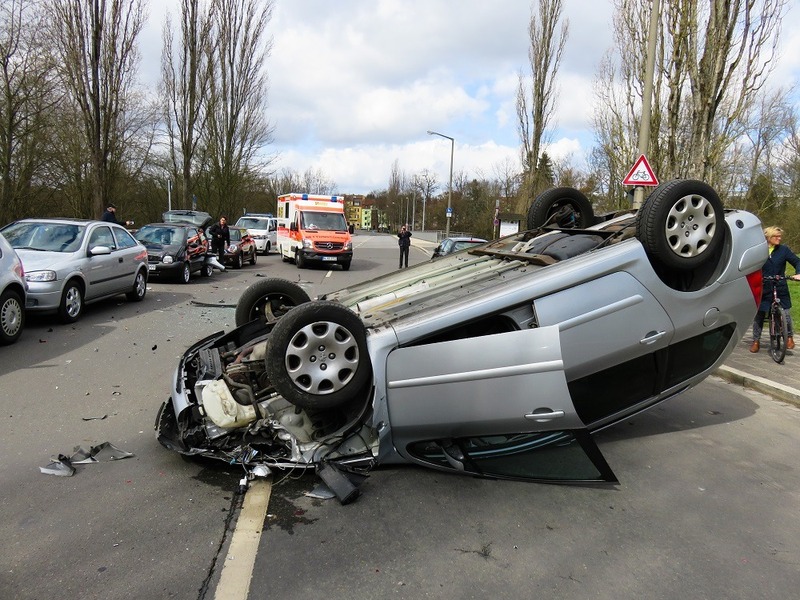 Although all cases are different, whether your case involves relatively minor injuries or catastrophic injuries, Todd E. Tkach will aggressively pursue the negligent person or entity that caused your injuries. Each and every case we accept is fully investigated, researched, and is relentlessly pursued to achieve maximum compensation for our clients. Most often, the attorneys of Todd E. Tkach, P.C. will be negotiating with the negligent person's insurance company or attorney. Insurance companies have skilled employees, who are trained to resolve cases in a manner most economical to the company. You need someone on your side, who has the education, training, and experience to deal with these insurance companies. Don 't "go it alone." Our attorneys have years of experience in dealing with insurance companies and personal injury claims. The attorneys of Todd E. Tkach, P.C. have the skills and experience to get you the monetary compensation you deserve. Whether we resolve your case through negotiations or litigation and trial, rest assured, we'll fight for your rights and to maximize your monetary recovery. We aggressively pursue all potential sources to help pay the costs and to fully compensate you for your injury. We use up-to-date technology and offer bi-lingual services. We take the time to know each client's case in detail so that telephone calls, questions, and concerns receive prompt attention and knowledgeable answers. We never forget how greatly an injury or the death of a family member can dramatically change your life. No two personal injury or wrongful death cases are the same. We take the time to fully understand what your case involves and develop a strategy to maximize the compensation you're entitled to. Auto and Truck Accidents, 18-Wheeler Accidents, Vehicular/Pedestrian Accidents, Wrongful Death, Construction Accidents, Premises Liability, On-The-Job Injuries, Sexual Abuse and Assault, Electrocution and Electric Shock, Burns, Defective Products, Animal Attacks, Medical Malpractice, Boat and Watercraft Accidents.